Normandy on the Western coast of Northern France is split into two main regions – Upper and Lower Normandy – divided by the Seine River. Upper Normandy has remarkable scenery while Lower Normandy is sought for its history and the cities. Lower Normandy has a strategic location, great monuments and innumerable beaches and harbors. It boasts a picturesque and pristine countryside. During the 9th century, the Normans conquered and devastated the region. In the 10th century, most of the Lower Normandy region came under the Duchy of Normandy. As a consequence of the victory of Tinchebray, Normandy went to Plantagenets in 1106. A hundred years later, in 1204, the region was taken by Philippe Auguste. The region was ultimately conquered by England after the Hundred Years War. By 1468, however, Lower Normandy was entirely under the control of the French Monarchy. 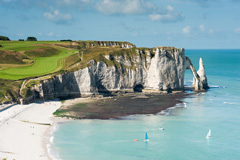 Lower Normandy or Basse-Normandie is a well-sought destination among the British due to its association with the United Kingdom and common history. The region is the central point of the allies’ 1944 landing. Apart from its attractive climate and location, its closeness to the sea and rich culture make it an extraordinary place. The seaside towns and resorts are very popular. The Pont de Normandie bridge across the Seine River links Honfleur with Le Havre and is about 2 km long. Trouville and Deauville are other well-sought seaside resorts which share the same railway station. The Mont-St-Michel is a small rocky island with a medieval Benedictine Abbey, about 1 km from the north coast of France. A thin, natural land bridge connects Mont-St-Michel to the mainland. In the year 1879, the land bridge was converted to a fortified causeway. Further down the coast, the region is very fertile with rich meadows and rich pastures. You can also see small villages with half-timbered houses embedded among the orchards. The town of St-Lo has an area called Bocage, where the fields have hedgerows. These fields made the advance of the allied troops rather difficult. The Southern portion of Basse–Normandie is characterized by dense forestation and is well sought by hikers. The Forêt d’Ecouves has pine, oak and beech trees and attracts deer-hunters during the autumn season. The Upper Normandy or the Haute-Normandie is a well-sought destination, particularly among the British. The region is a wonderful mix of old and modern architecture, while the countryside is also rather charming, with several impressive white cliffs. 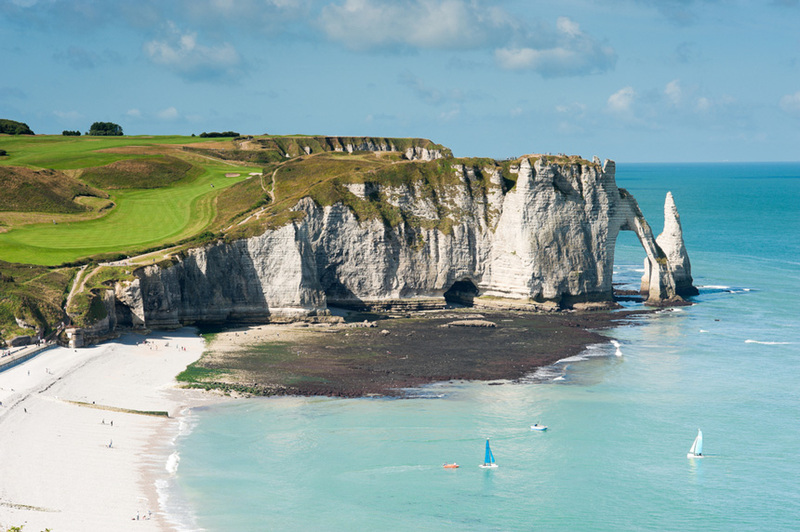 Haute-Normandie is in the Northwest of France and has several major ports like Le Havre and Dieppe and beautiful resorts like E tretat Le Havre. A notable feature of Le Havre is that it is the second biggest port in France and is the first European port of call enroute. Therefore, goods from all over the world are offloaded at its commercial docks. Dieppe is a lovely port and is very much sought for daytrips by British tourists. Another interesting offering of Dieppe are its street markets which are among the best in Northern France, selling fresh products, including fish straight from the boats. With its location right across the channel, Upper Normandy is not very far from neither Paris, nor London. Its varied coastline, warmed by the Gulf Stream, which is over 600 km in length, includes picturesque cliffs and long stretches of sandy beaches. There are several family resorts in the Cherburg peninsula. Moving further inwards, one will notice that the inlands here have beautiful forests, lazily-flowing tranquil streams and a rich agricultural countryside. The apple orchards are a notable feature of this important fruit-producing region. 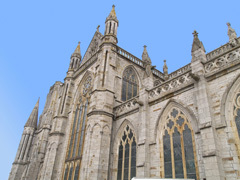 Touring of the Cider and Cheese Roads is very popular and can be undertaken by either a car or a rented horse carriage. 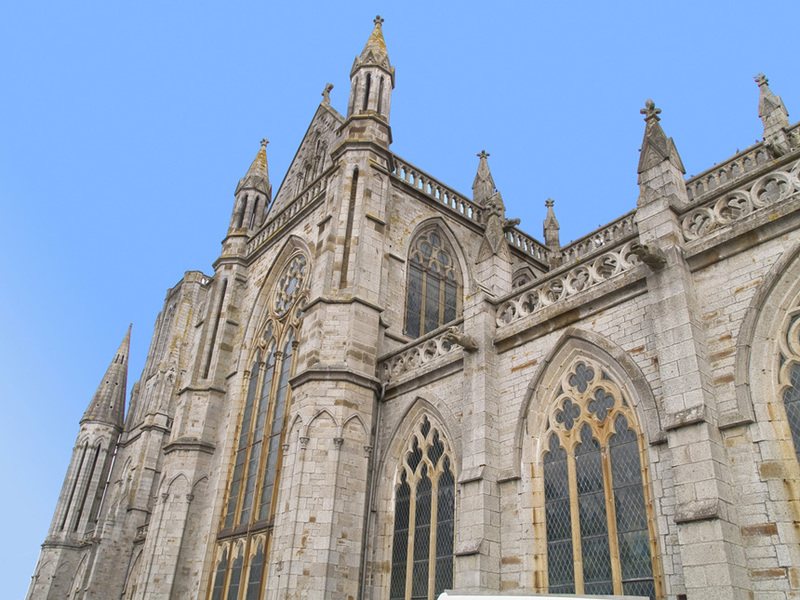 Among the treasures the region offers are the picturesque harbor of Honfleux, the Bayeux tapestry and the basilica of Lisieux, dedicated to Saint Theresa. The Bayeux tapestry is 70 meters long and half a meter wide and its embroidery was made from eight separate pieces of cloth. The tapestry was commissioned by the Bishop Odo after the battle of 1066. William the Conqueror’s birthplace at Falaise is another prominent historical place to be visited. William was born on Christmas day in 1027. A statue of the conqueror together with those of other early Normandy Dukes adore the castle entrance. The recent restoration of the castle ruins gave rise to substantial controversy caused by the use of modern materials like glass and steel. The Upper Normandy region has a rich history of soldier valor, with the most famous being William the Conqueror. He defeated King Harold at the Battle of abbey in 1066. The Duke of Normandy William II invaded England to establish himself as the King of England William I. Normandy, thus remained under English possession until 1204, when it was conquered by the King of France, Philip II Augustus. In the Hundred Years War, the region exchanged hands several times between the French and the English. It finally came under French control in 1450. It was destroyed in the 1944 invasion. The largest armada was assembled here and today people visit Normandy to see the D-Day beachheads.